I’ve decided to make a ten point list of reasons why the iPhone is the best smartphone on the market. I do this mainly to fuel the ongoing battle of the smartphones, but also to create a discussion and to find out if the iPhone really is the best. Keep it simple stupid! 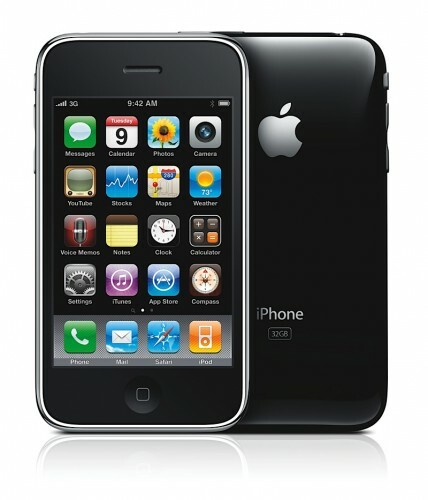 One of the key features of the iPhone is its simplicity, and user friendliness. I am fortunate to work in the telecom buisiness and I have access to almost any smartphone terminal on the market but I still haven’t seen any terminal that is as simple, sublime and user frendly as the iPhone. If we compare the iPhone OS to its largest competitors, Android, Symbian, and Blackberry OS. I think its fair to say that none of theese even comes close to the UI of the iPhone. I recently used the SonyEricsson X10, HTC HD2, HTC Legend, and let me be the first to say that theese handsets are great in so many ways. But none as simple and easy to use as the iPhone. But what is most important to smartphone users? Multitasking? Speed? Social media? User friendliness? I say all of the above. I would not function in everyday life without e-mail, calendar, Facebook, and Twitter, and I have used many different handsets the last 3 – 4 months but like I said, not once have I felt as comfortable using theese handsets due to the fact that none of them is really simple. Don’t get me wrong, I’m not saying the iPhone is perfect, it has its obvious flaws, and like many consumers I am willing to look past them and see what the iPhone is really ment to be: A simple, easy to use, fast, and good looking smartphone. This entry was posted on 12/04/2010 at 22:23 and is filed under TechTengu has the word..	You can follow any responses to this entry through the RSS 2.0 feed. You can leave a response, or trackback from your own site.